An international recognition given to organisations who implement a rigorous and effective quality management system. ISO 14001:2015 sets out the criteria for an environmental management system and can be certified to. It maps out a framework that a company can follow to set up an effective environmental management system. Occupational Health and Safety Assessment Series, (officially BS OHSAS 18001) is an internationally applied British Standard for occupational health and safety management systems. SSIP is actively reducing health and safety assessment costs and bureaucracy in the supply chain, by making cross-recognition between member schemes as effective as possible, and highlighting the savings to buyers and suppliers. As a SSIP member Ardent Hire Solutions Limited have fully committed to the vision of driving unnecessary cost and confusion out of supplier health and safety assessment, and SSIP's core philosophy is to enable effective cross-recognition between existing schemes. Ardent Hire Solutions has gained Gold recognition from the Supply Chain Sustainability School. Launched in 2012, the School is a multi award winning initiative which represents a common approach to addressing sustainability within our supply chains. The Supply Chain Sustainability School was formed by Action Sustainability with the support of 7 founding partners led by Skanska and including Aggregate Industries, Kier, Lendlease, Morgan Sindall, Sir Robert McAlpine and Willmott Dixon. Formed in June 2012 the School is delivered by Action Sustainability with investment from CITB, UKCES and partner organisations. Ardent Hire Solutions Limited abide by FORS regulatory standards. FORS is a funded, voluntary certification scheme aimed at ensuring that fleet operators work lawfully and to best practice by meeting the FORS standard. We have received the Silver awarded certification after an external audit carried out by TFL. Our continued goal to improve has led us to now work towards the Gold Certificate. Ardent Hire Solutions Limited have achieved the standards set out for the Achilles Building Confidence Pre-Qualification audit for the construction industry. Ardent Hire Solutions Limited are proud to be fully RISQS qualified. RISQS, formerly known as Achilles Link-up, has been developed to provide a service for the qualification of suppliers for all products and services that are procured by the industry. 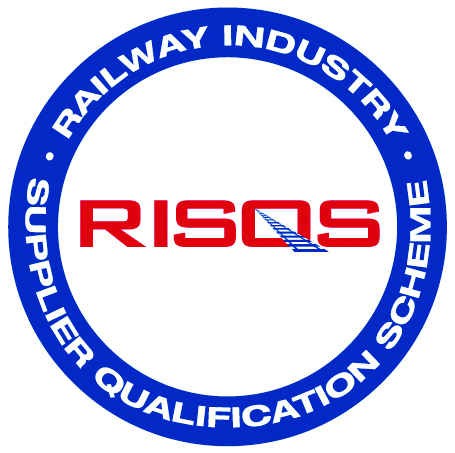 RISQS supports Network Rail, LUL/Transport for London, passenger, light rail and freight train operators, rolling stock organisations, main infrastructure contractors and other rail products and services providers in the management of supply chain risk. RISQS is an independent, third party qualification assessment of a supplier’s capability to supply products and services. Ardent Hire Solutions Limited is UVDB Link-up approved. UVDB Link-up is recognised as best practise in qualifying suppliers for the utilities industry, and is used extensively by buyer organisations to manage risk and comply with legislation. Constructionline is the UK's largest register of contractors, consultants and material suppliers for the construction industry. With over 10,000 key decision makers from over 3,800 buying organisations using Constructionline to select quality suppliers, it's a great tool to promote your services and gain access to new work opportunities.